Just as you chased down the ice cream truck as a kid, the architecturally-inspired ice cream sandwiches from Coolhaus are worthy of the chase. And while they can now be found across the country, we still hold their sweet treats on wheels near and dear. The sky’s the limit when it comes to pairing their creative ice cream flavors to stack high with their freshly-baked, chewy cookies, but we’re partial to balsamic fig and marscapone with double chocolate cookies. Keep an eye out for seasonally-rotating options, and don’t worry if you get carried away chowing down as the wrappers are edible. Keep an eye on Twitter for special events and locations. Coolhaus is a total winner on the ice cream scene. Think thick & chewy texture, along with a wide range of flavors, everything from Coffee Oreo (my fave) to Bulletproof (also my fave) to Ube. Get it by the scoop, or between two cookies for an ice cream cookie sandwich. They also have take-home pints too, in case you get hooked and need easy access to your own supply. It’s a bit more on the expensive side, but worth it. They are open late and I've never experienced too bad of a waiting line going out the door. I'm not just giving this place 5 starts because I'm biased, but more so because of what the ice cream shop offers. It has a flavor for any taste-bud and they really know how to keep you coming back. Who doesn't love yummy cookie sandwiches with out of this world flavors?! My personal favorite is father's milk, but they have so many funky ones like a CBD infused ice cream or other booze infused options. Throw it between two cookies of your choice and you'll check your budget for a weekly visit. They've got a little bit of everything - ranging from regular flavors to savory concoctions & unique combos. The ice cream sandwiches are always high quality and are a great treat even when it is not terribly hot outside. Not sure if it is an everyday thing, but sometimes they even have the sandwiches wrapped in an edible soy paper. Overall just excellent flavors and a well run business. I don't think I've ever had coolhaus and then been disappointed. Artisanal. Creative. Exciting. Tops in customer service. Delish! Seriously, Coolhaus not only has the most heavenly ice cream sammies ever; but, the founders, Natasha & Freya are equally as amazing. 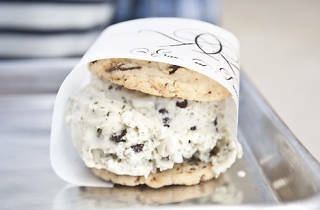 Ask anyone in the neighborhood, Coolhaus captures modern, and yet its essence is pure mom and pop. Most delicious ice cream sammies, started enjoying them 5 years ago and haven't gotten tired of them yet. I love Coolhaus not just because of the great quality but the interesting flavor combinations. I always find/taste something new everytime stop by! The flavors are endless...you never know what you're going to get. amazing ice cream! incredibly creamy texture and uniquely delicious in every bite. I'm here all the time! 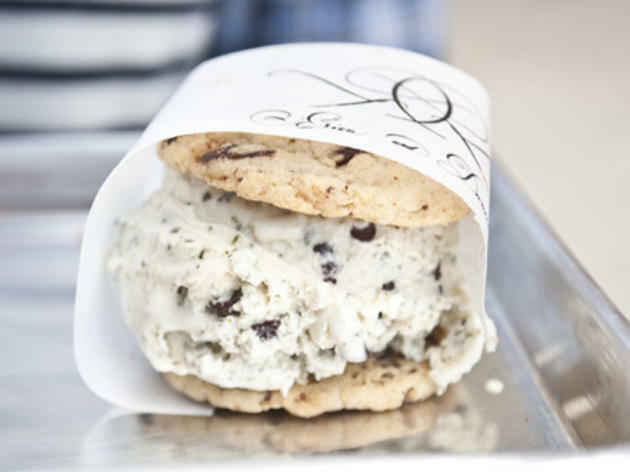 THE BEST ICE CREAM SAMMIE IN THE COUNTRY! !